Yoco launched in 2015 as a Silicon Valley-type fintech start-up. Today, the brand is an established business that wants to change the way SMEs are supported in the payment, funding and financial management space. "In a strange way, we were lucky that we didn’t receive venture capital funds early on," says Katlego Maphai, founder and CEO. "We had a funder pull out at the last minute, which was scary, but also a blessing in disguise. It meant we had only angel investors and family offices invested in the business, which gave us the capacity to think long term and not take shortcuts. We’ve since realised the importance of only taking on VC investment at the last possible moment. It’s imperative to have product/market fit before you chat to VCs, and we only really achieved that at the end of 2016." The team learnt this lesson in hindsight though, and like so many start-ups, did approach VCs too early. "We tried to raise VC in early 2015 when we started our beta programme," recalls Katlego. "In our minds, we’d been running the company for two years. We thought we had two years’ worth of traction. When we started talking to investors though, the conversations didn’t go as expected. As far as they were concerned, we’d only been operating for two months, and the valuation we were asking for just didn’t make sense." Two years later, Yoco was in a completely different position. "From the beginning, we recognised that although tech is important, our business model would differentiate us. We needed to be fast, cheap, use digital channels to onboard clients and aggregate our merchants so that our banking partner has only one point of contact - us. This was what we were quietly investing into, removing friction for merchants who were onboarding themselves onto our platform. "This was our big focus - to make the entire process as simple, efficient and low cost as possible. Merchants need to be able to onboard themselves, with no hand-holding. The problem in this market has always been one of distribution. How do you get to market in the cheapest, most efficient way possible, when the traditional people-intensive distribution model doesn’t work because it’s just not economically viable? Once we achieved that, the ability to manage merchants at scale became a reality, and that’s when we were ready for VC funds." In reality, Yoco only achieved product market fit and growth at the end of 2016. "By then, we’d grown ten times our size over the space of 12 months to 5 000 merchants, we had traction, incredible unit economics, and we’d built up infrastructure that allowed us to be efficient. We could really concentrate on growth. In particular, we weren’t worried about anything breaking or the system toppling over." "We were a multi-disciplinary team that had come together wanting to make a real entrepreneurial play," says Katlego, who brought the team together. 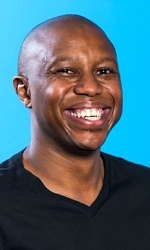 Having grown up with Lungisa, Katlego met Carl while working for a telecoms advisory and investment firm in Dubai, and Bradley at an incubator for online businesses in Cape Town that hired ex-management consultants to assist start-ups. By 2012, all four partners were living in Cape Town and had savings they could live off while they planned their entrepreneurial play. "We kept coming back to the payment space. I’d seen Square, a mobile point of sale system, in action in San Francisco in early 2011, and experienced a small restaurant business that would have been cash-based accepting cards. We knew how under-serviced SMEs were in South Africa, and that card payments presented opportunities to support them. We also knew we could build a suite of services to help our micro and SME clients run and grow their businesses once they were on our platform." The team didn’t focus on the tech - it existed elsewhere and could be outsourced. Instead, they focused on their business model. "We focused on why banks hadn’t traditionally serviced this sector," explains Katlego. "Our business model needed to address those challenges and the pain points of our target market, and it needed to do so in a way that allowed the business to scale efficiently and cost-effectively." Yoco’s team came from the mobile space. "You walk into a mobile store, fill in forms, have a credit check, get approved, sign the agreement, receive your phone and sim card and walk out the store. You’re now a customer, and hopefully you grow in value and don’t leave the network. That’s what we wanted to do for the card payment space. We wanted to take a process that takes weeks and strip it down to minutes by applying mobile thinking and using ecommerce as -a channel." "We knew that for us to reach smaller businesses, we needed to be able to sign up, vet and onboard applicants digitally, limiting people in the process, as this adds time and costs. This was probably our single most important insight. Once we understood this, we knew we needed to aggregate merchants, so that the partner bank we signed with would treat us like a ‘super-merchant’ - they manage the risk with us, vet us, take us through a rigorous process, and then allow us to aggregate sub-merchants under our umbrella." There was just one catch - for any of this to work, Yoco needed a partner bank that would agree to them aggregating merchants. "We moved to Joburg, moved back in with our parents and spent a year lobbying our partner bank," says Katlego. Consider what that took - ex-management consultants who had been earning impressive salaries had to return to their childhood homes so that they could focus on building their business and securing the trust of a partner bank. "Our backgrounds had taught us how to gather information, package it and present it in such a way that we could build credibility quickly and effectively," says Katlego. "We also knew what we didn’t know, which in this case was the payments space." To fill that gap, the team built an advisory board and approached the ex-head of Visa Sub-Saharan Africa to join their board for an equity stake in the business. "LinkedIn gives anyone access to the experts in every field, and networking plays a part as well. We were asking the right questions, and ended up with a few introductions to the same person. "From there, you just need a strong value proposition. This was a vital component for us. Not only did he coach and advise us on the payments space, but he had a strong network, and it helped convince the banks that if we could convince him that we knew what we were talking about, we were worth meeting. The same was true of funders. You need a strong team, and that includes domain expertise, which at the time we didn’t have." "It was a bit of a conundrum," says Katlego. "We solved it by approaching investors and getting firm commitments based on the licence. With that, we could secure the agreement with our partner bank, which in turn enabled us to trigger the draw-downs with our investors." The entire process taught the team how to de-risk the business at every stage of the journey. "We learnt to always think in milestones, and each milestone increases the value of the business. For example, securing the licence was a stage of value. By the end of 2014 we had moved back to Cape Town and were certified by Visa and Mastercard. We launched our first early beta with 20 merchants. The next milestone was our first transaction. "In mid-2016 we went on our Series A road show, and it was a choppy start. First, we realised that we were thinking globally, and those were the conversations we were having, which didn’t match up with the conversations local VCs were having with us. You need to all be on the same page, and we weren’t." "We started recognising that part of the problem was the way we were approaching the whole funding process," says Katlego. "We’d just had an investor meeting that didn’t go well, and we weren’t feeling good. We knew we needed funding - our runway was almost out and our current funding model wasn’t sustainable. "Instead of focusing on investors, we looked at ourselves. What were our objectives? What were we looking for? We ended up with six key objectives." It was a powerful exercise. From that moment onwards, the team walked into meetings knowing what they wanted, which in many ways levelled the playing field. "We had more confidence and we asked more questions, which lead to richer discussions with potential investors. We could also walk away if we saw a key objective wouldn’t be met, which saved everyone time." Since launch, Yoco was run based on formal governance and structures, which also played a big role in securing investment. "When a business is run pristinely and the due diligence is based on well-organised numbers and data, investors have comfort that their money will be managed properly. Our advice is to run your business clean from day zero. Keep good books and don’t put any other expenses through the business. We learnt this lesson from a real estate developer who told us to always be ready for the exit. She didn’t mean selling the business, but rather that if someone took a look, within moments you could produce whatever they want to see. I can’t stress enough how this has helped us." Yoco raised $16 million in its Series B fund, which closed in 2018, and although it was the same process, the focus of the pitch was very different. "Series A is often about survival. Series B is about how big this thing can become. "During our Series A roadshow, a big part of our pitch was proving that there’s a market for people who want to accept cards, and that there was a new way to reach this market that is not people intensive. "In the Series B round, we could show that we’d been able to grow our base to three times its size with continued good economics and a healthy, good payback. We also showed that the market is ready to be taken with the right type of capital. "The message was simple: We’ve figured it out and we think we can win with additional capital. There’s a huge opportunity to build an entire SME operating system, bringing payments, software and capital into one home that can essentially look after a small business and build an ecosystem around them. This in turn allows third parties access to our distribution network. "There’s an overarching need that we’re plugging into. SMEs lack access to tools, capital and payment acceptance. It’s a big gap that we want to solve, and we’re open to partnering with anyone who wants to help solve it. It’s an open commerce ecosystem. "Our next step of growth was to democratise access to software, because software is where the magic happens. Our app allows small businesses to manage their business finances through what is essentially a mini ERP for micro enterprises and SMEs. We are making a deep investment into building this out, because we believe it’s where the stickiness and value of our product lies. "Customers came to us for a card reader, but they’ll stay for a much wider service offering, including access to capital and a platform that they can run their businesses from. Up until this point Yoco has signed up innovators and early adopters. Now we’re taking the brand to the mass market."